I love cheesecakes. 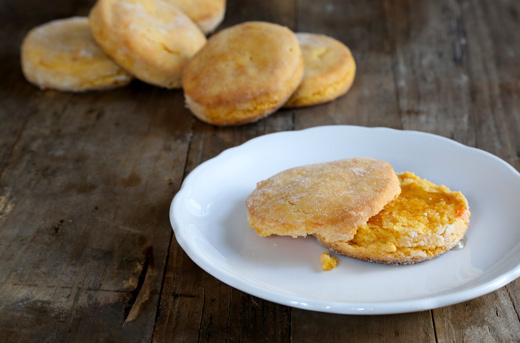 They are creamy, indulgent, and can be flavored or topped with practically anything. They can also be incredibly finicky and difficult to master if you don’t have the right tools and techniques at your disposal. With my tips and with the help of your KitchenAid® 11-Cup Food Processor with ExactSlice™ System, Professional-Grade Nonstick 9″ Springform Pan and Pro Line® Series 7-Qt Bowl Lift Stand Mixer, you can easily bake the most beautiful cheesecakes in your own kitchen. To start, you’ll need to make the graham cracker crust. My secret ingredient here is the cinnamon, which makes the flavors of your cheesecake pop. Process the graham crackers in your Food Processor until finely crushed, then add in the melted butter and cinnamon. The KitchenAid® 11-Cup Food Processor makes assembling the crust so easy because it processes all the ingredients together with only the press of a button! Use your hands and the bottom of a drinking glass to firmly and evenly press the crust into the bottom and sides of the Springform Pan. Chill the crust in the refrigerator while you prepare the filling. 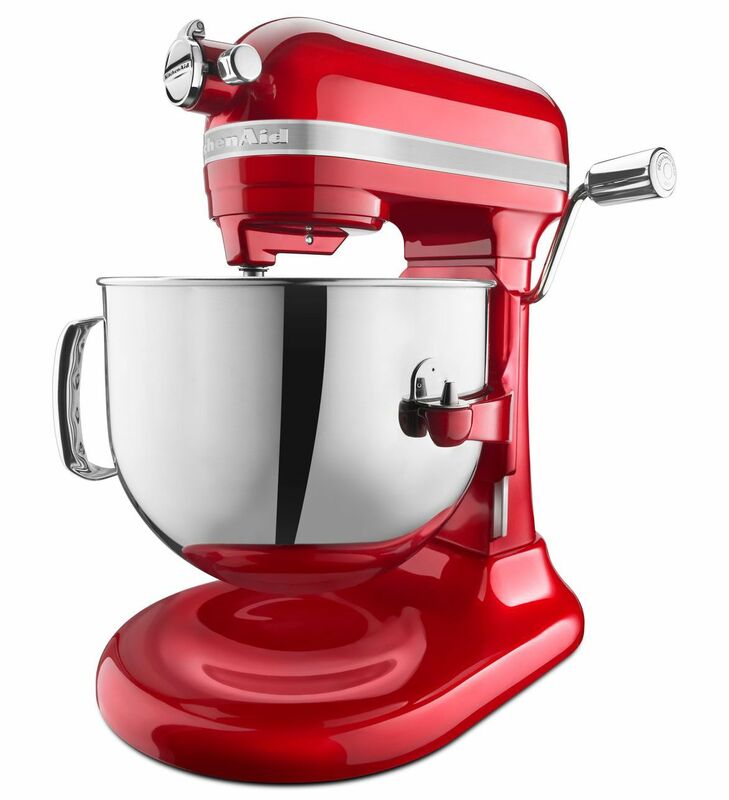 In your KitchenAid® Stand Mixer, beat the cream cheese on low speed until smooth. Gradually add in the sugar, then the eggs, vanilla, lemon zest and sour cream. Having most or all of the ingredients at room temperature is essential for avoiding lumps in the batter. Moreover, be sure to avoid over mixing or adding extra air into the batter by only mixing the ingredients until just combined. This will prevent any cracking on the top layer of your cheesecake during the baking process. Pour the filling into the chilled crust and smooth the top evenly with a spatula (don’t worry if it’s not perfectly smooth, it will even out while baking). 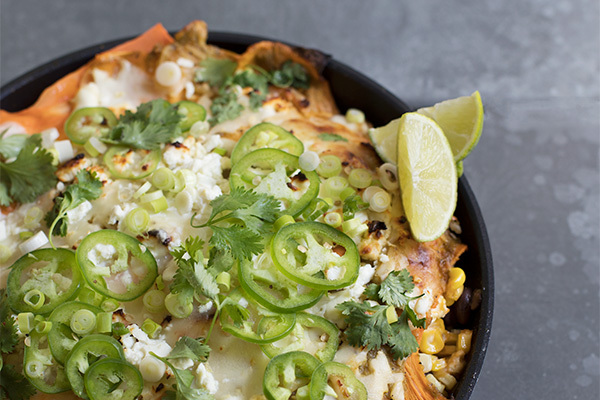 Fold foil up the sides of the Springform Pan and place it into a larger roasting pan. Add boiling water to the roasting pan so it reaches halfway up the sides of the Springform Pan and place it in the oven. Putting the cheesecake in a water bath is another trick I use to prevent the top layer of your cheesecake from cracking. It may seem like a cumbersome extra step, but it’s the best way to bake a great looking cake. Bake the cheesecake for about 45 minutes, or until the edges of the cake are set. The center of your cheesecake should still jiggle slightly. Remove the Springform Pan from the roasting pan, remove the foil, and place on a cooling rack for 30 minutes. Then, cover loosely with plastic wrap or a kitchen towel and chill the cake in the fridge for at least 4 hours to cool and set completely. Just before you’re about to serve your cheesecake, remove the sides of the Springform Pan to release the cake onto the removable base. Be sure to use a sharp, clean knife to slice the cake. 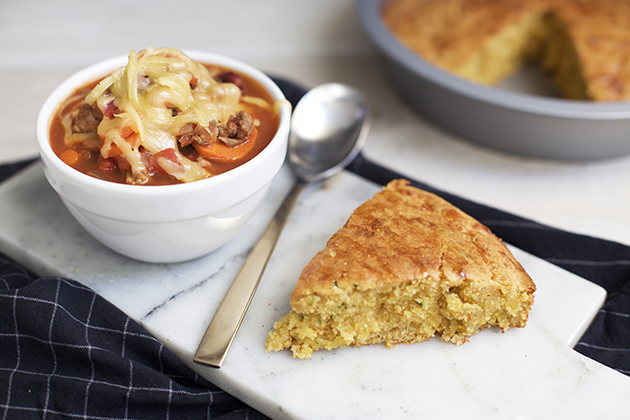 And don’t forget to top your slice with your favorite toppings! I love to make a quick blueberry compote when I bake my cheesecake, but anything from a caramel drizzle to a sprinkle of cocoa powder to a handful of fresh raspberries would be great. 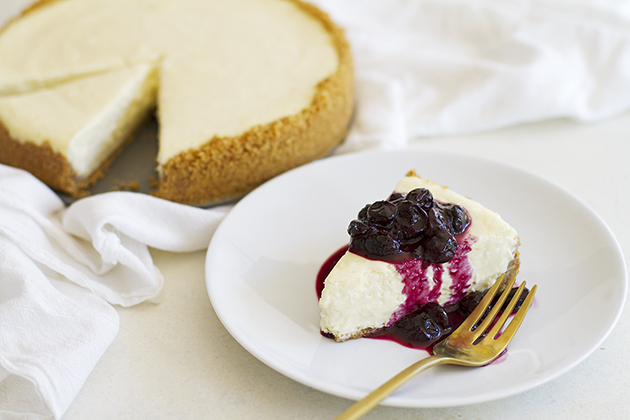 That’s all you need to know to bake a delicious, foolproof cheesecake. The biggest question is: How will you make yours? Be sure to share your take on this Classic Cheesecake recipe with us on Instagram using #MadeWithKitchenAid for a chance to be featured. Heat the oven to 325°F. 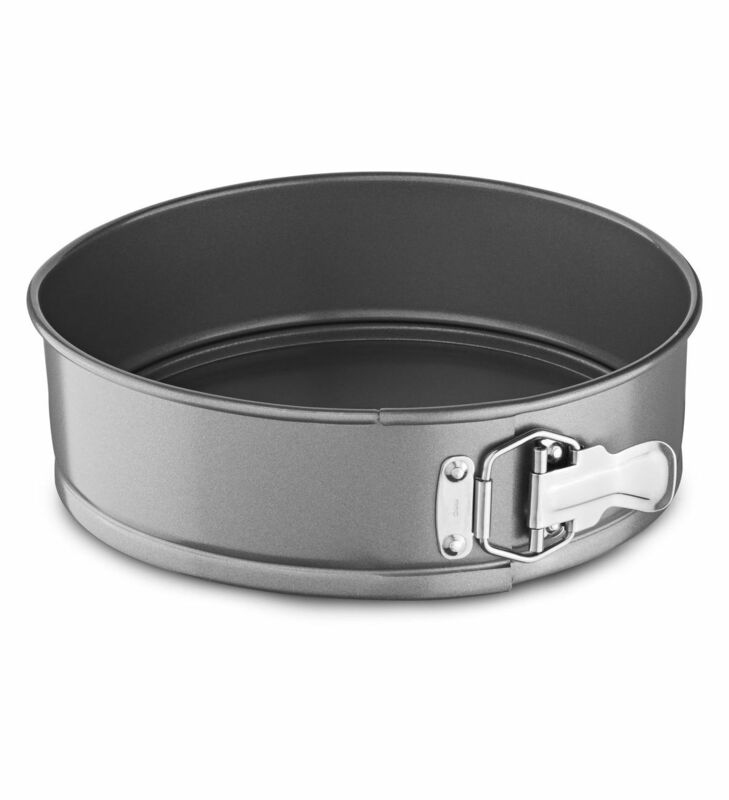 Spray the bottom and sides of KitchenAid® Professional-Grade Nonstick 9″ Springform Pan with cooking spray. In the bowl of your KitchenAid® 11-Cup Food Processor with ExactSlice™ System, process graham crackers to fine crumbs. Add cinnamon and melted butter; pulse just until mixture is combined and crumbs are moistened. Press mixture evenly into bottom and approximately 1-inch up the sides of the Springform Pan. Use the bottom of a drinking glass to firmly press down mixture. Refrigerate while preparing the cheesecake filling. In the bowl of your KitchenAid® Pro Line® Series 7-Qt Bowl Lift Stand Mixer fitted with the flat beater, beat cream cheese on low speed (2 or 3) for 1 minute until smooth. Slowly beat in sugar. Continue to beat on low speed for 1 to 2 minutes until creamy. Add the eggs, one at a time, beating after each addition on low speed just until incorporated. Add vanilla, lemon zest and sour cream. Beat on low speed just until combined. Pour and spread batter evenly into the Springform Pan. Set the Springform Pan on top of large pieces of foil and fold up sides. Place the foil-wrapped Springform Pan into a larger roasting pan. Set on oven rack; pour boiling water into roasting pan until water reaches about halfway up sides of Springform Pan. Bake for 45 to 50 minutes until edges of cheesecake are set; center of cheesecake should still jiggle slightly. Remove Springform Pan from the roasting pan and remove the foil from the sides. Transfer to a cooling rack to cool for 30 minutes. Loosely cover the top with plastic wrap or kitchen towel and transfer to fridge. Chill at least 4 hours. Remove the sides from the Springform Pan to release the cake onto the removable base before serving.